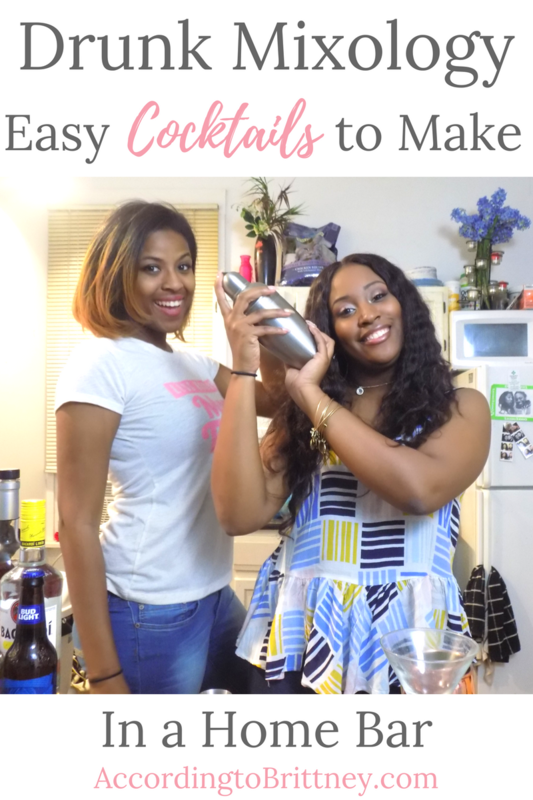 What happens when you put two girls, 4 glasses of wine, and ingredients to make cocktails in the same room? You get two wannabe bartenders who can barely open a bottle let alone make a delicious drink! Even though the only cocktails we’ve ever made are just chasers after a shot, we managed to make some pretty tasty drinks with some common items you could have in your own home bar! So take a break from being an ambitious career woman and check it out! We made a delicious concoction that deserves a name! Make it for yourself and see what you’d name it! Tag #ATBDrunkMixology in your photos or videos and let’s give this drink a proper name. Have you created any fun cocktails that I should try? Tell me all about it in the comments!